What is a group of women doing in someone’s living room one night each month, introducing themselves with their matriarchal line and passing a candle from one to the next? 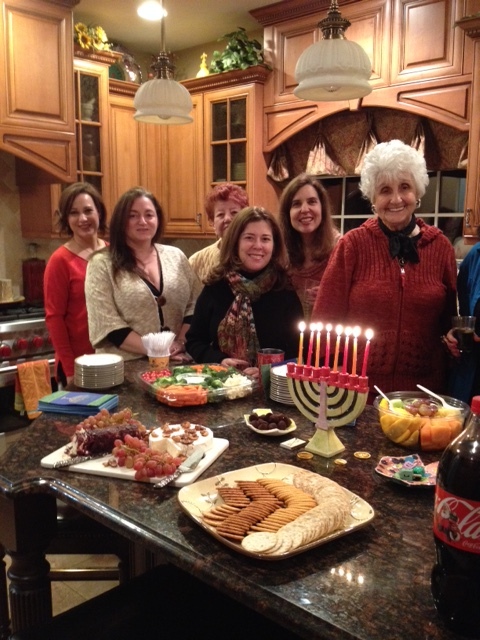 We are celebrating Rosh Chodesh, the Jewish new month, a time designated by the rabbis as a festival for women. 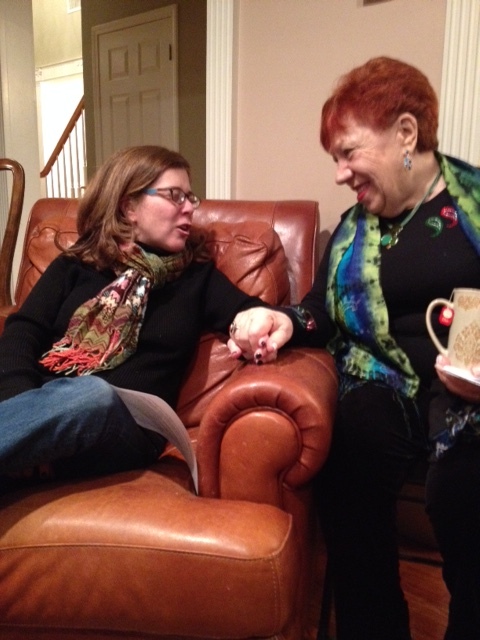 Rosh Chodesh Celebrations began this year to bring together women who are raising children at home for evenings of study, sharing and celebrating. 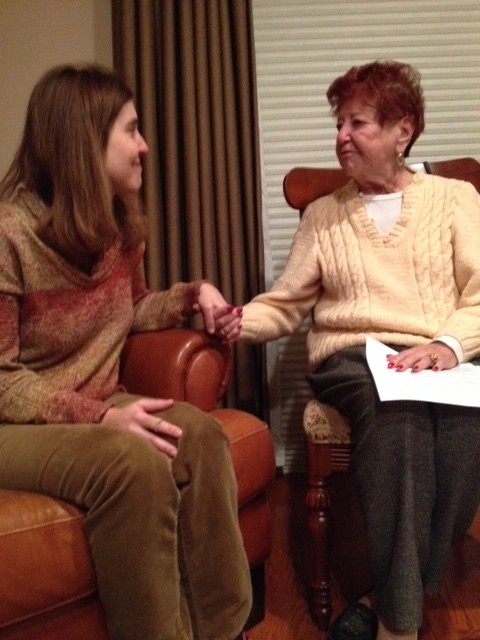 Each month our gatherings have been uplifting and meaningful. Through tears and laughter these women have found support and understanding in a close circle of OJC congregants, luxuriating in the gift of time dedicated to self and community. 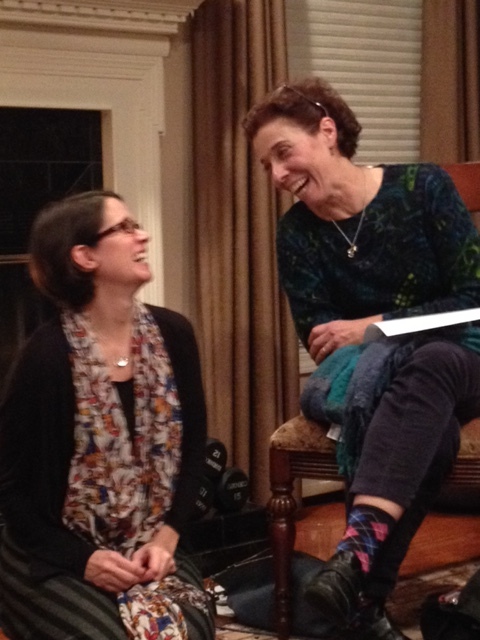 Last night was a special Rosh Chodesh celebration as the group of younger moms met together with Sisters in Spirit, a group of OJC women whose nests are empty facilitated each month by Sally Kagan and Miriam Suchoff. Rosh Chodesh Tevet is unique as it falls in the middle of a holiday, on the seventh night of Chanukah each year. Among the Jewish communities of North Africa, this auspicious night was designated as the Festival of the Daughters — a time for the generations to celebrate together. And so that is what the two Rosh Chodesh groups of the Orangetown Jewish Center did last night: we brought the generations together to celebrate. 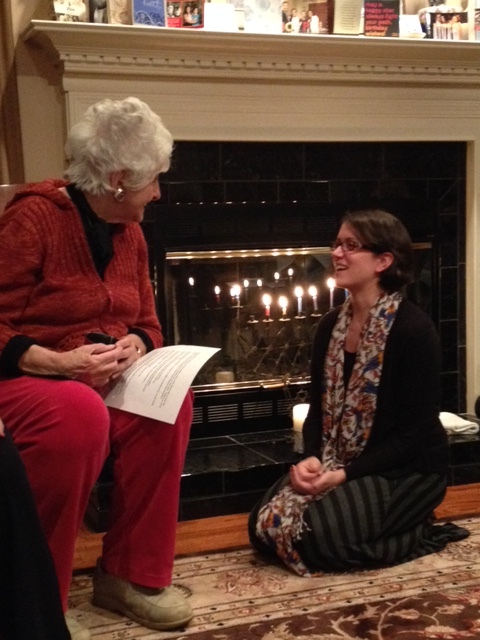 Together we lit the chanukiah and immediately felt the magic begin. After our opening ritual, Sally told the story of brave and wise Judith who saved the Jews who were under siege by the evil Holofernes. Sally’s storytelling technique was engaging and fun; you’ll have to ask her for a synopsis, but be sure to ask what she pulled out of her basket at the end of the story! We used the lighting of seven candles to open us to seven questions about women we admire, blessings we would bestow on daughters, our own gifts to family, and more. There were tears and words of support and much laughter. We concluded the evening with each woman offering a blessing to the woman to her right. 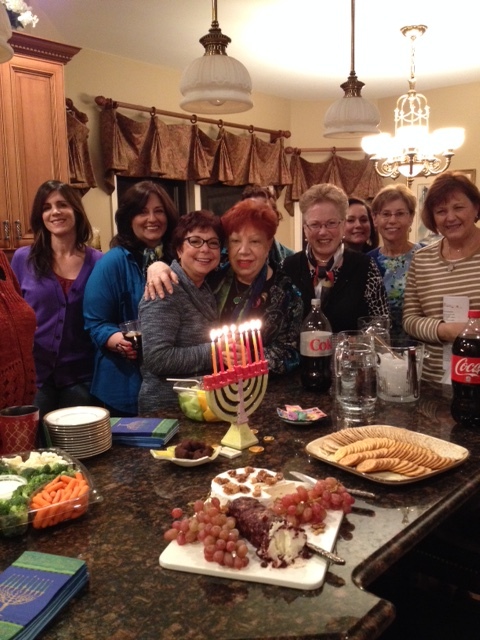 If you are a woman of the Orangetown Jewish Center, we hope that you’ll join one of the Rosh Chodesh groups. Contact me at Rabbi.Drill@theojc.org for more information. If you are a blog reader who is not connected to the OJC, be in contact for information on how to create a group of your own. And if you are a man, be happy for the women in your life that there is a safe and nurturing place for us to grow in a Jewish context. 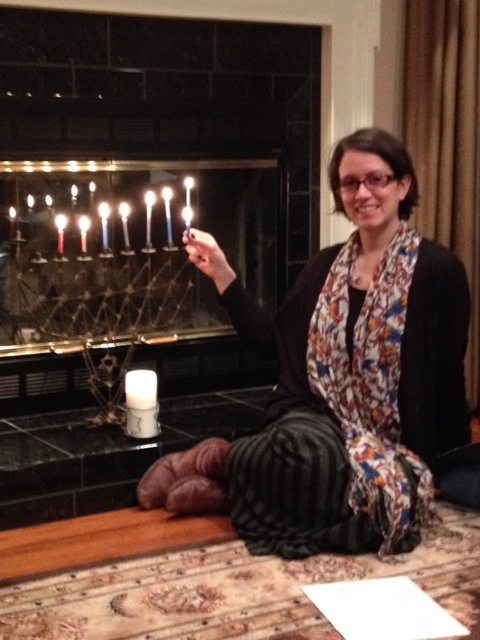 Enjoy this eighth night of Chanukah. I pray that the lights in the darkness bring optimism to your hearts.